Owned by Tropicana Casino and Resort of Atlantic City, TropicanaCasino.com is one of the leading online casinos. It is 1 of 2 online casinos that fall under the Tropicana online gaming license, with the other being the equally well known and respected Virgin Casino (keep an eye out for an in-depth review on Virgin Casino coming in the next few days). 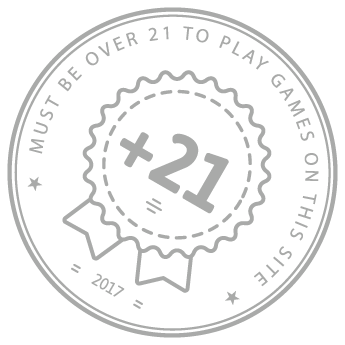 The combination of an iron-clad reputation, impressive game catalogue and intuitive online platform has proved to be successful and made the operator an industry leader. Lt’s cut to the chase – Tropicana have one of the best games catalogue in the industry. 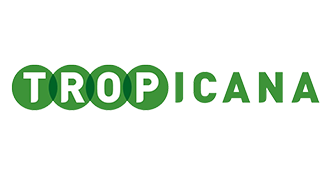 So while the number of slot games may be less than several other operators offer, Tropicana value quality of quantity and their collection of games are all intuitive, fun and easy to understand, even for a complete novice. Fans of this game format will be thrilled to note 75% of the single line machines will give you returns of more than 99%, with the Double Double variation delivering 98.98%. The Triple Play and Five Play games offer the most impressive paybacks in the online industry. Figures for the other video poker games on offer are: Deuces Wild – 99.73%, Deuces Wild Bonus – 99.45% and Triple Double Bonus – 99.58%. Both versions of roulette on offer use a single zero wheel. The limit for bets stands $0.10 to $1000 on the regular version and on High Stakes Roulette the limits are understandably higher at $10 all the way up to $4000. Surprisingly, Tropicana does not offer the almost obligatory First Deposit Bonus favored by all of its competitors. This operator instead offers punters up to $100 cashback. This extremely tempting offer applies to all of the online games found on TropicanaCasino.com. The only requirement that players need to meet to qualify is to have made a deposit of at least $10. No promo codes needed! This bonus essentially guarantees players will not lose the first $100 they deposit. If a player loses more than 90% of their first deposit within their first 7 days of playing, they will be refunded an amount equal to their loss, all the way up to $100. Players who lose less than 90% of their first deposit and still don’t make a profit will be refunded an amount equal to what they lost, up to a maximum of $100. The refunded amount is paid in cash and can be used by the player as a second chance to make an initial profit or they can choose to cash it out, no questions asked, as long as they have made a deposit of $10 or more into their Tropicana Casino online account. Tropicana offers players bonuses on a regular basis. One of these bonuses includes free spins. Any punters that play in of the two free daily games can win free spins with real money online slot machines. The operator also offers a Community Jackpot. Every time the player places a bet, they stand a chance of winning a lucky community key. The key could open a jackpot bonus for all players who placed a bet in the last hour, with the jackpot being anywhere from $500 all the way up to $10,000. Tropicana offers players both an iOS and Android app. These apps offer the same banking functions as the full site, 18 virtual slots, 4 video poker games, blackjack and roulette. The apps generally function smoothly and are stable, almost never crashing. In fact one of the only problems that can be experienced with these apps are connection issues, but this is out of the hands of the operator and more of an ISP issue. The Tropicana app has earned its position as one of the best online gambling app in New Jersey. TropicanaCasino.com is a trustworthy and reliable leader in New Jersey’ industry of regulated online gambling. The secret to their success is that they have taken the time to learn and deliver exactly what gamers want – a strong product, varied games, outstanding service and reliability. And as long as they continue to deliver along these lines, they will remain one of the biggest earning online casinos in the game.